Note: In order to apply a hot fix to a SAS Software Depot for Client Users in SAS 9.2, the depot must be revision 10w34 or later. To determine whether your order is revision 10w34 or later, open the soi.html file that is found in the \install_doc\nnnnn\ directory. In the soi.html file, the revision number is displayed on the Product: line. Verify that the depot in which you are modifying is a Client Users Depot. 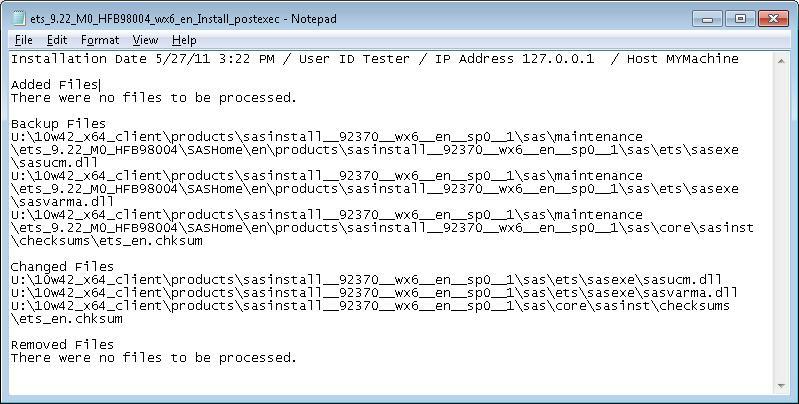 To do so, open the sassd.txt file that is located in the root of the depot. If this file contains a line with the word Client, it is the correct type of depot. 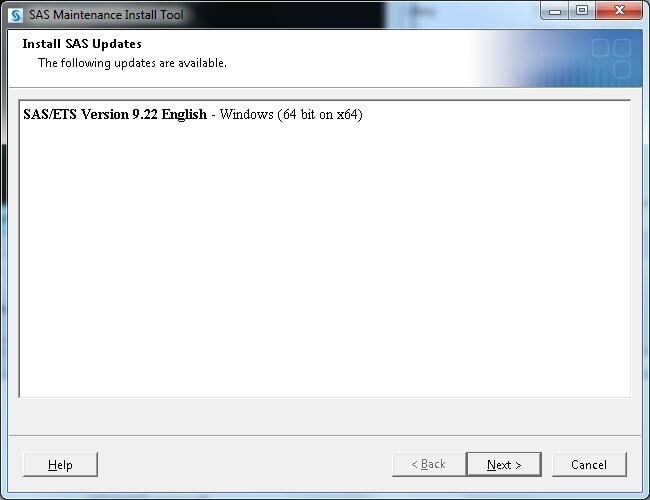 Note: The following steps must be performed from a PC that does NOT have SAS installed. You must map a network drive to the Client Depot location; you CANNOT use UNC paths. Download any necessary hot fixes to a directory of your choosing, for example, C:\hotfixes. Select Start ► Run and type cmd to open the command prompt window. Change directories to your hot fix directory, for example, CD C:\hotfixes. Type the hot fix name and specify the location of your depot_root directory using the -SASHOME option. Note: If the following dialog box appears, click OK and then click Browse to find the client software depot. 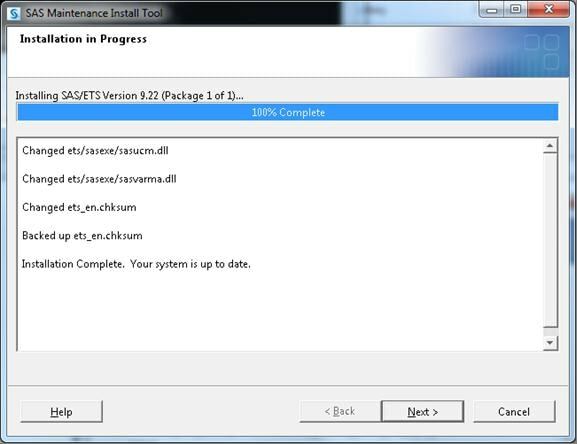 The SAS Maintenance Install Tool starts. Click Next. The Files to Update display appears. Click Start Install. The Installation in Progress window appears. Click Next. 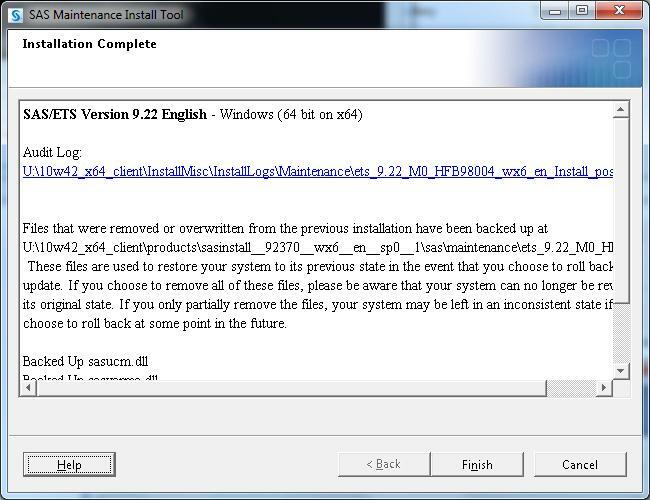 When the Installation Complete window appears, scroll through the text that is displayed to ensure that all files were successfully copied. Click Finish. You can compare the Pre-installation and Post-installation audit log files that are located in the depot\InstallMisc\InstallLogs\Maintenance directory. You also create an MIT_date_time.log file in case there are any problems. If you encounter problems, open a track with Technical Support and submit all three files that are associated with the hot fix in which you applied. You can also run the Deployment Registry report to make sure that the hot fix in which you just applied shows up correctly. 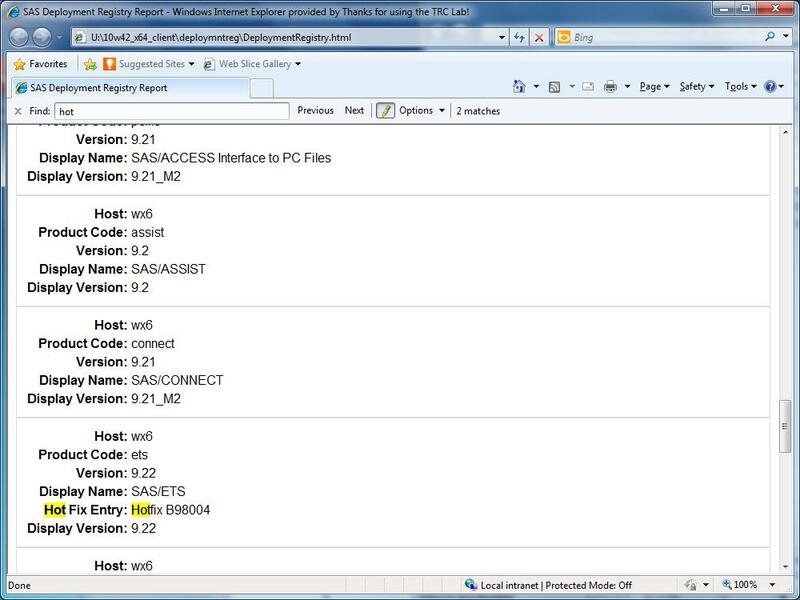 To run the report, go to the depot_root\deploymentreg\ directory and double-click the sas.tools.viewregistry JAR file. This creates a DeploymentRegistry.html file in the same directory. Open the report and search for the hot fix. 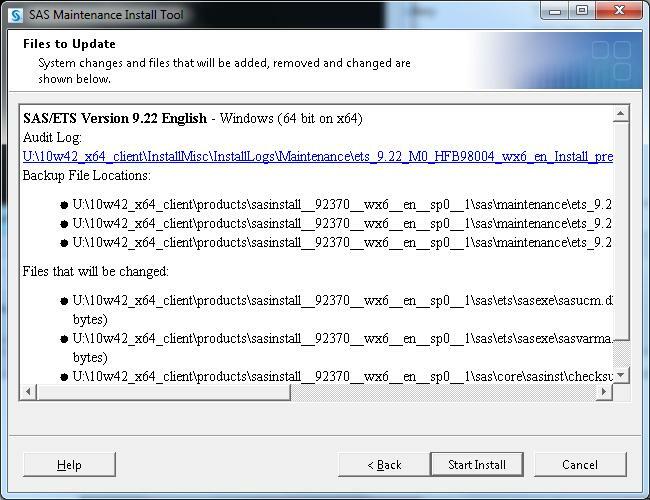 IMPORTANT: After you update the Client Users Depot, keep in mind that you will need reinstall any existing installations that were previously performed from this depot. 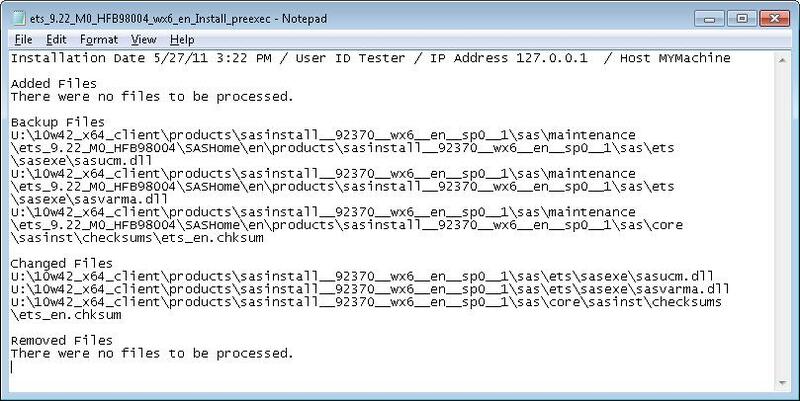 Note: You do not have to uninstall SAS before you reinstall.